SKYLYZE as a business unit of DSA Daten- und Systemtechnik GmbH develops and plans intelligent data analytics solutions for automotive industry. SKYLYZE implements data analytics software solutions for OEMs as well as for suppliers in the automotive industry and related industries like for example utility and agricultural vehicles. Our many years of automotive experience and the outstanding data analytics expertise of our specialists enable us to develop highly efficient, intelligent and practice-oriented software solutions in the automotive context. As a result, the SKYLYZE software supports for instance warranty management, manufacturing and field data analysis or „Predictive Analytics“ use cases. Our experts also implement individual projects and we use our know-how to solve your specific data analytic tasks. 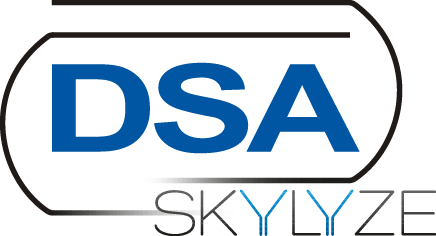 The SKYLYZE solutions are integrated seamlessly into the DSA diagnostic tool chain. Our platform is the data analysis backend for the entire vehicle life cycle. Today DSA is a worldwide operating company with more than 500 employees – our branches in China, Italy, South Africa, Mexico, Brazil, India and the USA are located close to customers around the world. For more than 35 years DSA has been a leading expert in the development of innovative and customer specific communication solutions for vehicle electronics. Whether in the field of vehicle development, manufacturing or after sales and connected vehicle – our modular and flexible solutions support processes throughout the entire vehicle life cycle.